Organic textures and tonal hues are showcased in the Sundial Cocktail Table. 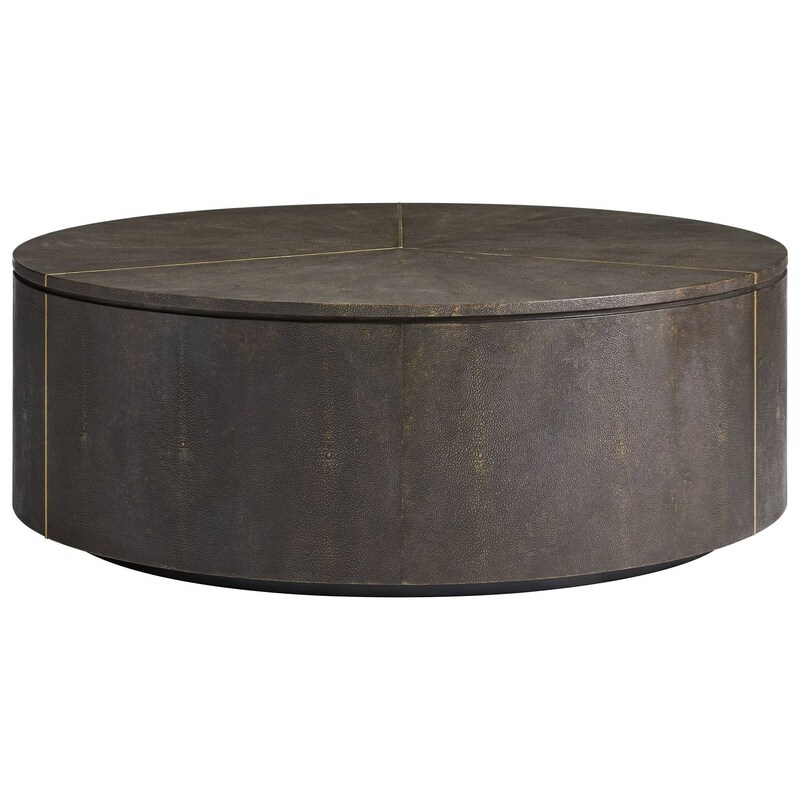 This circular occasional table floats on its recessed plinth base. Solid brass bar stock is embedded into the table's top and sides to add another layer of visual interest to an eye-catching piece. Available in Sable or Pearl faux-shagreen finishes. The Panavista Sundial Cocktail Table with Brass Inlay by Stanley Furniture at C. S. Wo & Sons Hawaii in the Hawaii, Honolulu, Oahu, Hawaiian Islands, Waikiki, Diamond Head, East Honolulu area. Product availability may vary. Contact us for the most current availability on this product.